Your water heater may be one of the appliances in your home you take for granted—until it stops working and you wind up in a cold shower. To make sure you don't get a chilly and possibly expensive surprise, it's a good idea to perform regular maintenance on your water heater. A home water heater needs to be drained as part of regular home maintenance. Draining ensures the long life of your water heater by flushing out minerals and other debris that can cause it to malfunction. If you do not properly maintain your water heater, it may cease to function altogether or result in cold bursts of water when least expected. Professional recommendations vary. The DIY Network suggests draining your water heater once a year, while Consumer Reports suggests draining it a couple of times a year. Always check your owner's manual to see what the manufacturer suggests. 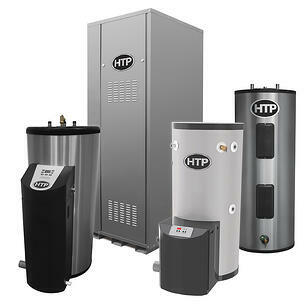 The basic rule is the more you use the water heater, the more often it needs maintenance. Locate the heater and read the directions. If you don't already know where it is, you can generally find your water heater by looking in a corner of an unfinished basement or in the utility closet of a finished basement. It can also be in the garage or even on one of the floors of the house. The water heater will be covered with labels and instructions. Read these directions and any other paperwork or manuals that came with the heater carefully. These instructions will help you understand the nuances of your exact model. If you've lost the manual, try checking the manufacturer's website; many manufacturers will post product manuals on their sites for convenience. Determine if your water heater is gas or electric. If the label doesn't specifically identify your water heater as electric or gas, look for a small flame, called a pilot light, near the bottom of the heater. If you see this light, the heater is gas. If there isn't a pilot light, the heater is likely to be electric. You can also confirm this with a check of the product manual, or a professional. Gas heaters require an additional step of cleaning the burner and ports. Refer to the instruction manual for guidance. Shut off the water and attach a hose to the spigot on the bottom of your water heater to drain. Shut off the water to your water heater. Look at the top of the water heater. You will see a water pipe and a water shutoff valve coming into the heater. Turn this valve clockwise to shut off the water to the heater. You also need to shut off the power to the water heater. If the heater is electric, shut the power off from the circuit breaker box. The correct fuse should be labeled as belonging to the water heater. It's important to know that if you fail to shut off the power to your electric water heater, you risk burning out the element. If it's a gas-powered water heater, shut off the gas by turning the valve on the gas supply line that runs to the tank. Now, attach the hose. Make sure to use a good-quality hose that's not worn out, as the hot water can make an old or worn-out hose leak—and you don't want all that hot water to damage your home or belongings. Place one end of the hose into a stationary tub, a basement floor drain or, if it'll reach, directly outside. Attach the other end onto the spigot at the bottom of the water heater. Turn on the spigot by turning it counter-clockwise. Be very careful when you drain the tank! The water in your water heater is extremely hot. It's a good idea to give the water some time to cool before you drain it from the tank, to prevent injury. Open and test the pressure release valve so the water can drain out. On the top of the heater, there should be a pressure release valve that looks like a little lever. Once you open this valve, the water will begin to flow out of the water heat tank. Be patient; draining the water heater can take up to 30 minutes depending on how full and dirty the water heater is. In addition, be certain to test the pressure release valve for proper functioning. To do so, refer to the instructions attached to the pressure release valve or the water heater's instructional manual. If the valve fails the test, you should contact a professional plumber. Turn the water back on to flush the tank with fresh, clean water. With the pressure valve still open, turn the water back on to eliminate any remaining sediment on the bottom of the tank. Once the water runs clear, turn the water valve off, and you are almost finished. Close the pressure release valve on top of the water heater. Once the tank is full, turn the power to the water heater back on.